Location: London, Reading, Cambridge and Oxford. Application Details: To apply, please send a CV and a covering letter. 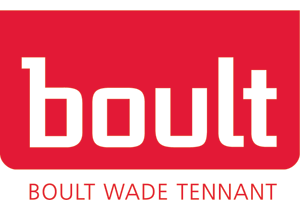 Boult Wade Tennant is internationally recognised as a leading firm of Chartered and European Patent Attorneys and Trade Mark Attorneys, specialising in Biotechnology and Life Sciences, Chemical and Materials, Engineering and Designs, High Tech and Electrical, and Trade Mark and Domain Name IPs. This summer, we’re offering the right candidates a place on our award winning firm’s voluntary vacation scheme will give you the opportunity to find out about an exciting career as a patent or trade mark attorney. If this isn’t enough for you to be interested, then also bear in mind that previous scheme attendees have become successful candidates for our trainee scheme too! Our voluntary vacation scheme offers a select few the opportunity to see what it’s really like to be a patent or trade mark attorney at one of the most successful IP firms in the UK. We’re not saying that this week long scheme will be a breeze. It will be hands on and you’ll be working across teams and offices, and with real cases. You’ll be asked to contribute from the moment you walk through the door and the week will be jam-packed with case lessons, workshops, shadowing and mentoring. If you think you have the drive, talent and ambition to become a patent or trade mark attorney, then we would love to hear from you. The scheme is intended for undergraduates, in their penultimate or final year, and postgraduates. We also encourage applications from those who are already part of the professional world but who are seeking a change of career. The common factor is that all those that get a place on the voluntary vacation scheme are excellent communicators, both written and verbal. Also, all have a relevant undergraduate/postgraduate degree and/or industry experience. To have obtained, or to have predicted, at least a 2:1 in a relevant academic subject at undergraduate level. Those with a patent interest must be studying for, or already have, an undergraduate degree in a relevant technical field (science and/or engineering). 340 UCAS points (AAB) at A Level. Writing a covering letter to accompany your CV is always difficult but it is a crucial part of the application process. It is your opportunity to demonstrate your capabilities and suitability to join our graduate programme. It is also a great vehicle to demonstrate your personality and enables you to stand out from other well qualified applicants. Why do you want to join Boult Wade Tennant’s voluntary vacation scheme? What do you hope to gain from participating in the scheme? Why do you think you would make a good patent or trade mark attorney? How you answer these questions is up to you but you must include full and succinct answers. When is the next scheme? The voluntary vacation scheme application process opens 1st November 2018 – 29th March 2019. All offers will be made within 2 weeks of the closing date. Please mention IP Careers when applying to Boult Wade Tennant. Is a career as a Patent Attorney right for you?